Our goal is to give you the tools and confidence to enable you to deliver your message naturally and effectively. To help you to present the very best version of yourself. But who are we? What makes us tick? I’m Maryanne, I’m married with 2 daughters, 2 dogs and 7 hens and live in the Scottish Borders. I set up the business 13 years ago in Edinburgh having trained with The Kingstree Group in London. I’d spent 4 years in London and wanted to move back north having spotted a gap in the market in Scotland. There were very few companies offering the service I provide – none using the approach I use. I also wanted to live and work in a city where I could access more of the outdoors more easily. I ski, run, mountain bike and walk in the hills around where we live. I love travelling, growing veg and cooking. 2. How do you rate your own public speaking skills? Believe it or not, public speaking and presenting is not my favourite pastime. But I know I can do it because I know how to do it, and I practise most days. Most days the skills come fairly easily to me after 16 years in the job, other days I have to work hard to practise what I preach. I believe anyone can be a great presenter. It’s a science rather than an art. Once you understand what makes you good when you’re relaxed there is nothing to stop you from being really great with some techniques, practice and coaching. That’s why I love my job – it enables clients to learn a life skill which they may or may not believe they can do. It gives people confidence to be able to pitch with greater success, raise much needed investment for their company, move up another rung on the career ladder or raise their profile at seminars. 3. Maryanne Johnston Ltd is all about advising people. What’s the best piece of advice you’ve ever been given? The motto of the school I went to was ‘Plus est en vous’ – there is more in you. I think about this every single day of my life. It pushes me, when I feel nervous it gives me confidence. When I sense negativity, it gives me positivity. When self-doubt sets in, it makes me believe in myself both on a professional and personal level. I always know I have it in me to do what I have to do and more. 4. And what advice would you pass on? Practice makes perfect. As with any skill, some people need more help than others. Practice and coaching is key to your success. My passion is skiing, I’ve been skiing since I was 4 and I’m pretty comfortable and confident on most slopes, but every year I have a lesson at the start of the a holiday because that ensures I’m skiing at the top of my game and feeling confident and capable on any slope. For me, the magic is when you see and feel the results. You win more clients, you influence more people, you enjoy pitching and relax into it, rather than dread it and lose sleep over it. There really is more in you than you think. Think what that could do for your firm, your targets, your career. 2. You’re the oil that keeps the finely tuned Maryanne Johnston Ltd machine running. How would you describe your position within the company? Organiser, researcher, list maker extraordinaire, resource creator, travel agent, nit-picker, sounding board… I could go on! 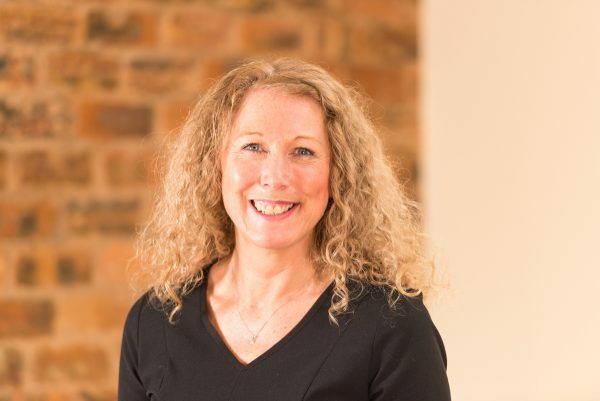 I really appreciate the close working relationship that Maryanne and I have; it gives me the opportunity to fully understand the needs of each client and to help Maryanne provide them with an appropriate programme, bespoke to them. 3. What do you enjoy the most about your role? I adore my morning ‘commute’ through the fields to our office and I know that once I’m there, I’ll have a day of variety ahead of me. I thoroughly enjoy the contact with such a range of people that this role gives me. I could be dealing with printers one minute, organising travel to Paris the next and arranging follow up training with a CEO directly after. No two days are ever the same. 4. What’s the most interesting thing you’ve learned since joining the team? With my background in teaching, I have always been conscious of the importance of getting your message across clearly, concisely and simply. I don’t think that I realised that as people, we already have such a huge range of skills when it comes to communication. Once you understand the science behind it, it really is quite clear!